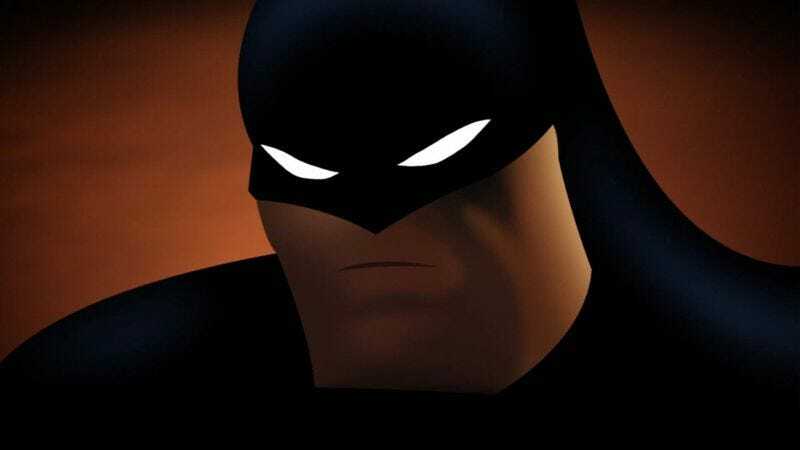 Thanks to his work on Batman: The Animated Series, Paul Dini is easily one of the most influential writers in the history of the Caped Crusader. Not only did he co-create Harley Quinn, one of the few worthwhile additions to the mythos since Robin, but he also wrote (among many others) the episodes “Almost Got ’Im” and “Heart Of Ice,” two of the absolute best Batman stories ever told in any medium. For an upcoming Batman graphic novel, though, Dini is taking a different approach. Instead of being about how Batman saves Gotham, it’s going to be about how Batman saves a writer named Paul Dini. According to The Hollywood Reporter, the book will be titled Dark Night: A True Batman Story, and it will be about an evening in 1993 in which Dini got mugged and beaten, causing parts of his skull to shatter. Also, it won’t be a fantasy where Batman swoops in and rescues him, it will be a deeply personal tale about a man dealing with a traumatic event, and over the course of the story, Batman and various villains will appear to Dini “as a kind of Greek chorus.” Batman, for example, “berates him and tells him ways he could have gotten away,” while the Joker tries to convince Dini to shut himself up in his apartment and never leave. Dark Night: A True Batman Story features art by Eduardo Risso (100 Bullets) and will be published under DC’s Vertigo imprint in June of next year.